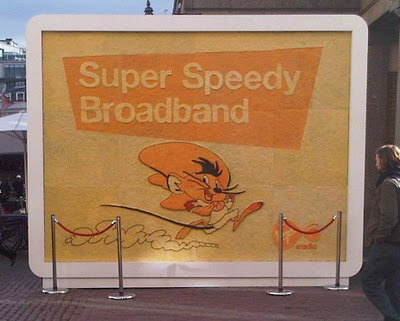 We had a billboard made entirely of cheese installed in Covent Garden today to promote our broadband services with 100Mb on the way. With it being around the corner from the office I had to drop by for a look: What I didn't see though was a supply of cream crackers nearby. I'll have to have a word with the PR team in the morning. 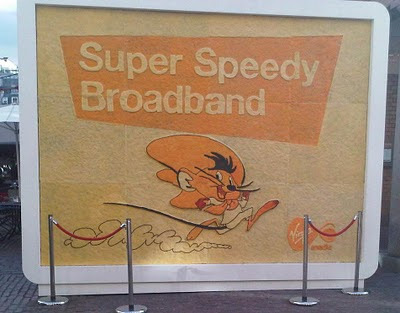 "Virgin media gone into the carpet business? 'Underlay, underlay!'"